Games can be a great way to have fun with friends and it’s almost impossible to deny their multiplayer component received a huge boost through mobile gaming. Many popular titles cater to both lone wolfs and social players….developers are clever like that, although some offer the best experience in PvP or multiplayer mode. If you enjoy playing games with your friends and other people like we do, you already know the pool of choices for Android and iOS devices is as close as it can get to an ocean. A “Top 10” in this case would be very subjective, so without saying the titles featured in this roundup are the absolute best, they are certainly among our favorites and worthy of your time. If you know other great multiplayer games you feel we and our readers should know about, don’t hesitate to share them with us. 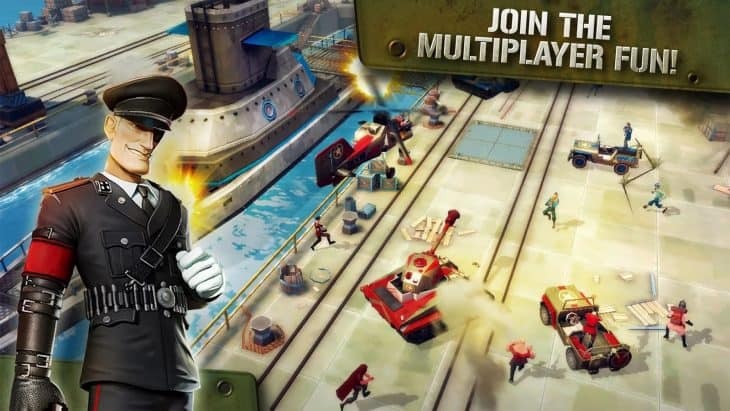 If you ever played Team Fortress 2 or Battlefield Heroes on your computer, you’ll probably enjoy Blitz Brigade as well. This class-based first-person shooter has beautiful cartoonish graphics and multiplayer battles with up to 12 players you can participate in. Each class comes with unique abilities and equipment and there’s no shortage of content in the game. Rest assured you’ll have plenty of work to do in order to acquire a variety of weapons and unlock all classes as in the beginning you can only play as the Soldier. Lastly, Blitz Brigade has built-in voice chat so you can communicate with your team and perfect your attack strategies. MADFINGER Games developed plenty of popular titles like Dead Trigger and Dead Trigger 2 as well as the original Shadowgun, this being a sequel based on the same universe with one exception. Shadowgun Deadzone has been tailored for team-based third-person shooter matches where you can increase your character’s ranking to unlock new abilities, weapons, equipment and other items that will come handy in combat. Anyone with an interest in multiplayer shooters should check out Shadowgun Deadzone. 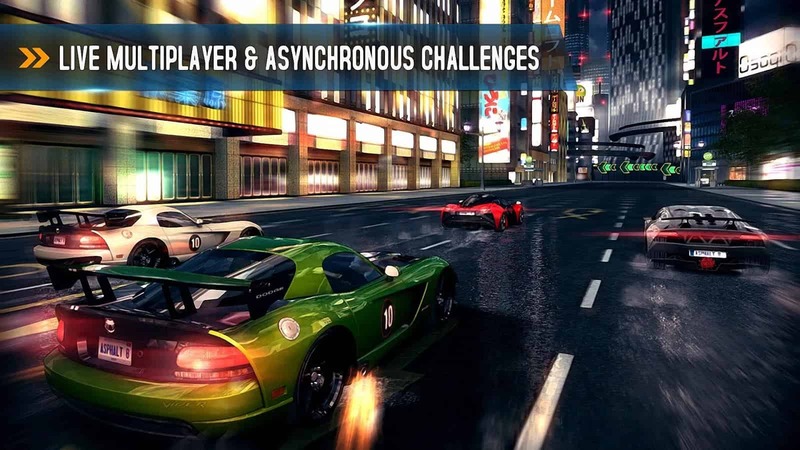 Asphalt 8 Airborne is not new on the market since players are enjoying it since 2013, but even today it’s still an amazing racing game that lets you race against up to 11 human players, option to challenge your friends included. 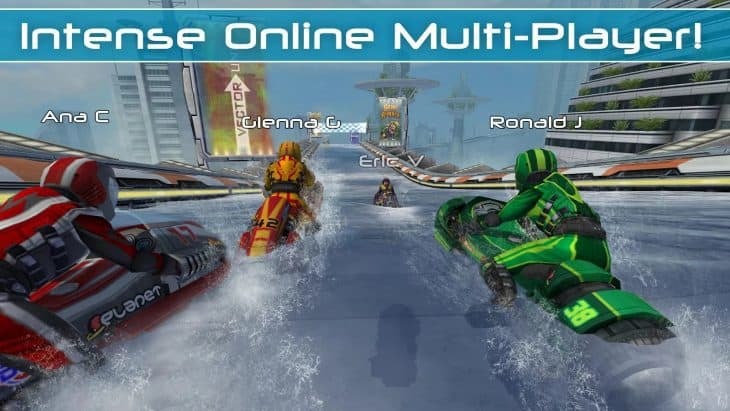 The visuals and controls are top-quality, as one would expect from a Gameloft title, there are almost 100 cars to play within the game, multiple venues, seasons, events and game modes. Half the fun of racing against friends is to feel accomplished and Asphalt 8 Airborne lets you do that by giving you the possibility to compare scores in leaderboards and share your achievements with others. 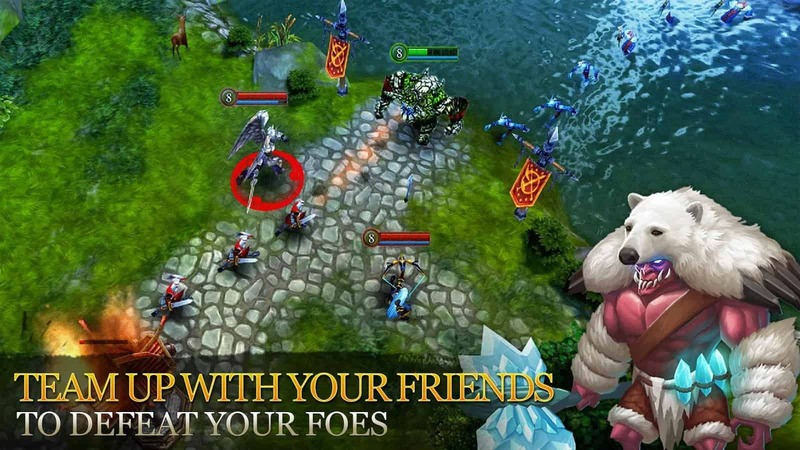 Another amazing game from Gameloft, Heroes Of Order And Chaos is an established MOBA game that’s all about team play. You can engage in 3v3 and 5v5 matches, join a guild and play a variety of heroes. For those unfamiliar with the genre, multiplayer battle arenas such as HOC, involve fighting against the enemy team to take control of strategic points and resources on the map with the purpose of finally conquering their base. This type of battle is very competitive and engaging, demanding your complete attention but equally rewarding if you win. The 5v5 maps in Heroes Of Order and Chaos are quite large, so you’ll have some exploring to do until you get used to them and there are currently 52 heroes available, an impressive number compared to similar titles. 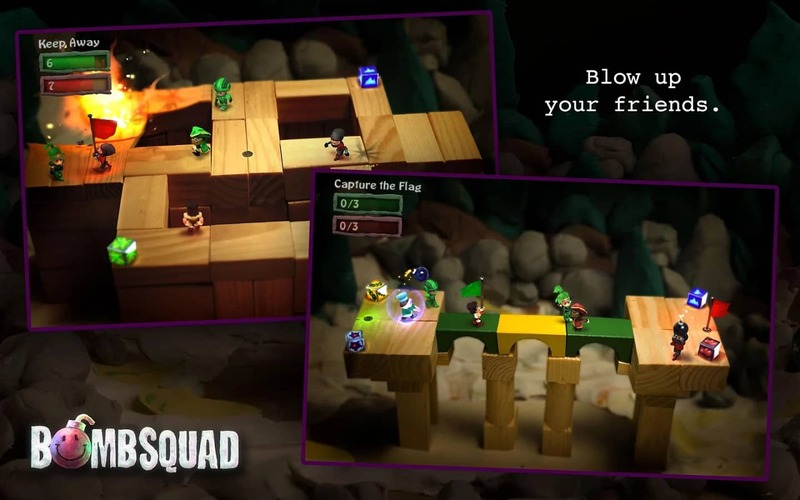 Games like BombSquad are great for social gatherings, and this particular title bundles several mini games such as hockey and capture-the-flag each of them playable with friends and lined with all sorts of explosives you can plant to blow things up and have fun. It’s not one of those serious games in which you strive for character or account progression, so it makes a great option for casual play with your family and friends. Clash of Clans had plenty of time to refine since it was launched back in 2012 and it’s still a highly popular MMOG. 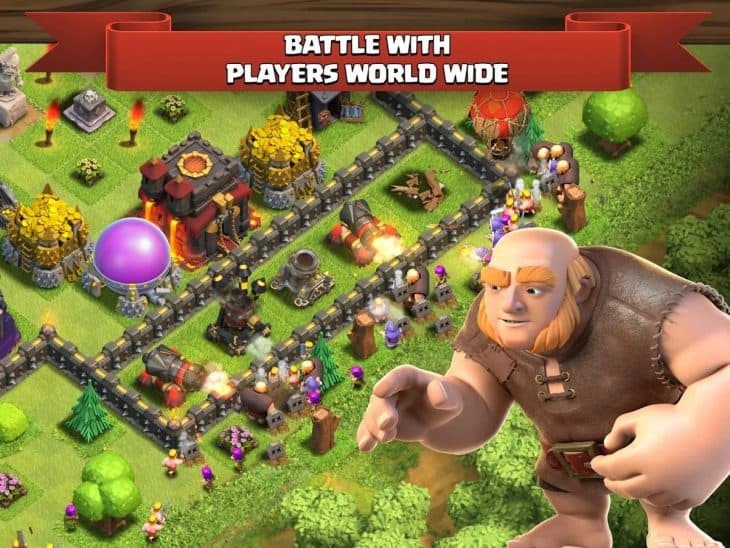 There is a single player campaign, but the true Clash of Clans experience begins when you engage in war with other clans. If you think you’d enjoy picking a race, building a village and an army, and then lead your people in glorious fights against other players, this game is a must-try title. Riptide GP 2 is a superb racing game in which you can ride a variety of jet skis competing against friends and other players in action-packed races. The game has beautiful graphics and impressive water visuals that will make competitions more thrilling and realistic. You can unlock lots of stunts, play through many different maps, upgrade your hydro jets and earn achievements among other things. 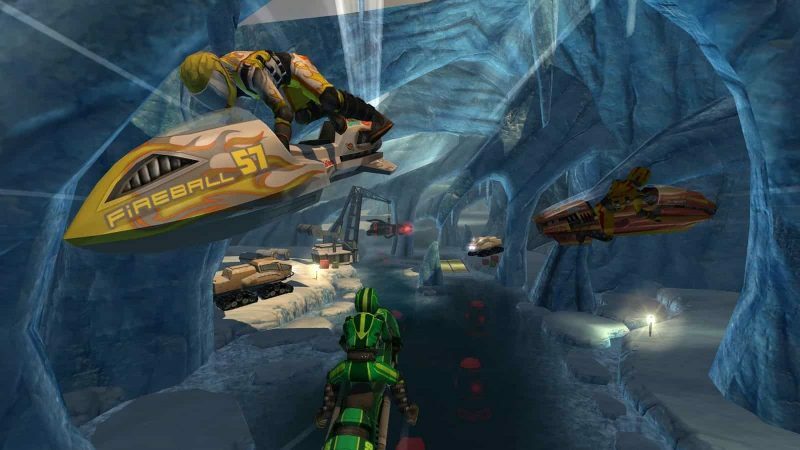 Riptide GP 2 is a solid racing title packing a ton of content you can enjoy – highly recommended for fans of the genre. The popularity of Hearthstone gave a new life to card-battle games, but the concept goes all the way back to the 90’s mega hit Magic The Gathering. 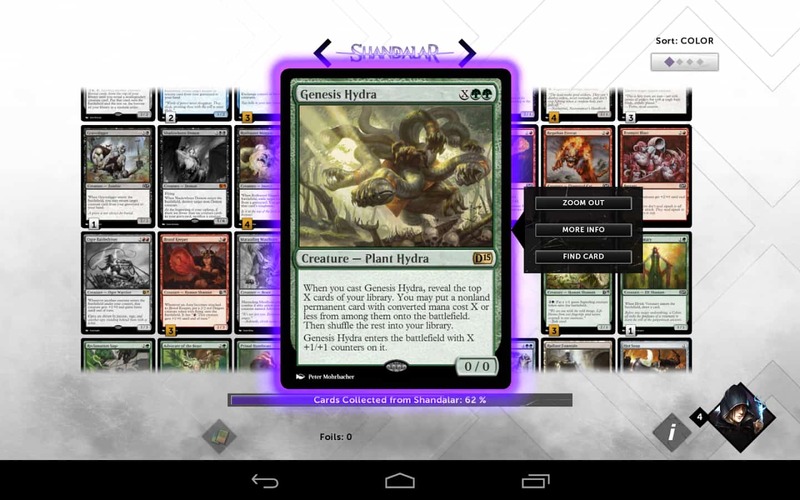 Magic 2015 is the modern iteration in which you can play card battles against other players, build your deck by earning and crafting cards and try new strategies as you go. Such games are very competitive, but also suitable for casual play since usually the matches are short. Plus, when there are no friends available you can always play against random opponents. 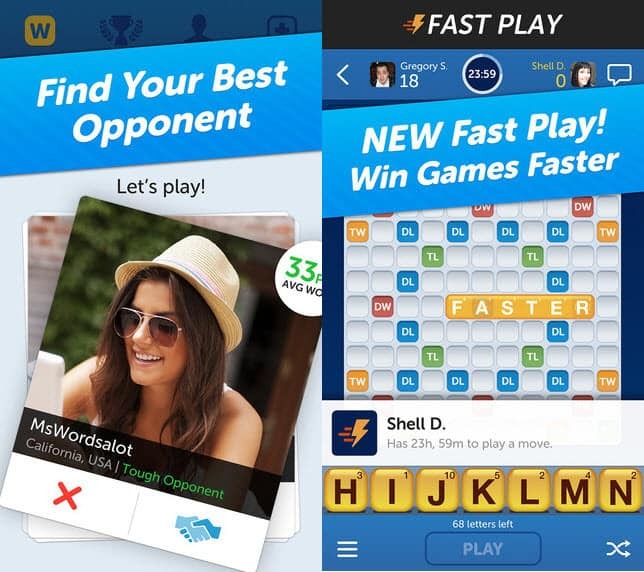 A slightly different take on the classic Scrabble game, Words with Friends is a social word game you can play against up to 19 other people, and each player is alerted via push notifications when it’s their turn. There’s a built-in chat option and through social integration, you can invite friends in the game directly from Facebook and Twitter but also through random opponent matching. 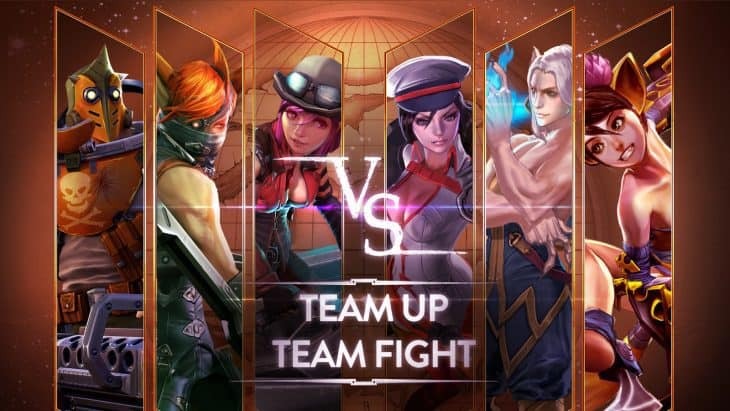 Vainglory is one of the most successful multiplayer online battle arenas for mobile devices. With responsive touch controls and a simplified map, it offers challenging 3v3 matches in a rich environment with stunning visuals. You can play various characters and there are plenty of items and content to unlock and explore. If you’ve been thinking about trying a MOBA game but the complexity of popular titles like Dota 2 or League of Legends seemed discouraging, Vainglory makes a great choice for beginners as it’s easier to learn and more suitable for casual play. 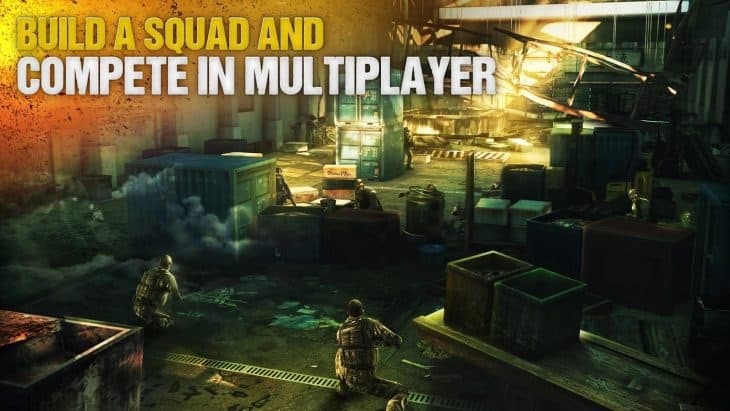 Modern Combat 5 Blackout is another visually impressive first-person shooter made in the image of the well-known Call of Duty series. Teams of players fight each other in intense matches and progression is global and can be earned by playing in both single and multiplayer modes. Like you’d expect from a respectable team-based shooter, the game features both team and global chat and leaderboards as well as various achievements to keep you coming back for more. There are many weapons to unlock and customize and you can play it with the basic touch controls or a gamepad. The original Worms series is about 20 years old right now – hard to believe, right?. 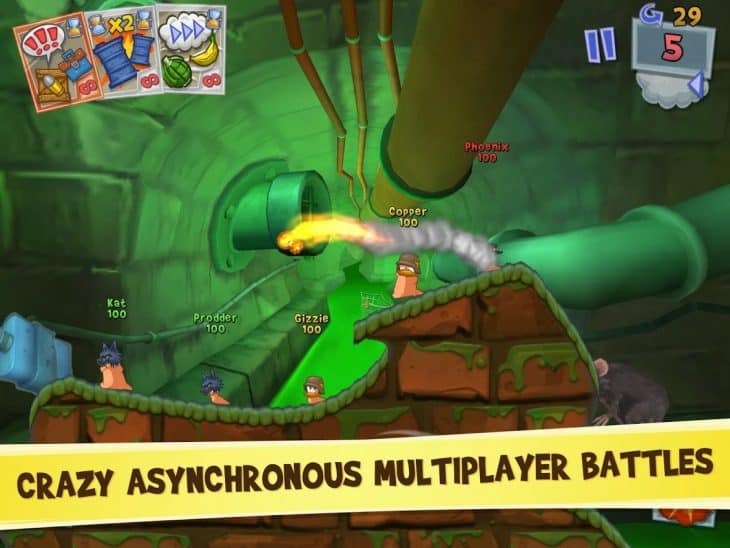 Even so, it managed to be successful on mobile platforms as well, and Worms 3 is the latest title you can play with your friends. This is a fun turn-based strategy game that can be played in both single and multiplayer modes and you can use either the new D-Pad control system or the classic touch controls. It may be the last title on our list, but it’s definitely one of the most popular multiplayer games at the moment. 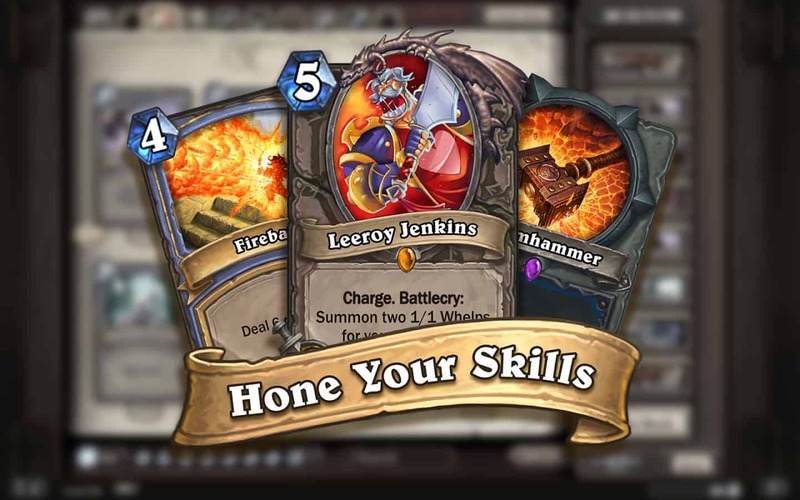 Blizzard has a talent for making great games and Hearthstone is one of their most notable achievements in this department. The strategy card game use the Warcraft universe to let you play several classes such as Mage, Paladin, Rogue and so on, each having a number of exclusive cards. From this to various expansions that have been released so far and more to come, you’ll have plenty of PvP card battles to go through in order to unlock it all and collect or craft the most powerful cards. Matches usually don’t last longer than 10 minutes and communication with the opponents is limited to emotes so you can play the game relaxed without insults and foul language from unknown people. Nevertheless you can also play against a friend, which for me is even more engaging than being assigned a random opponent. Share our selection of great obstacle games with your friends if you liked it, and don’t forget to check out our Roundups section for more carefully handpicked apps and games for Android, iOS and Windows Phone. Follow us on Facebook, Twitter, Pinterest and Google+ to receive our latest mobile how tos, and apps & games reviews for Android, iOS and Windows Phone !